The topic of Placentophagy is one that makes some people squirm and others excited. This postpartum practice is becoming more and more popular in mainstream media. From a Chinese medicine perspective the use of dried placenta or Zi He Che, is categorized as yang tonifying. It is sweet and salty in taste, warm in temperature, affects the Liver, Lung, Kidney and possibly Heart meridians and is used at a dosage rate of 1,5 - 5gr. It is clinically used to tonify the Liver and Kidneys; to strengthen and augment Jing; to tonify qi; to nourish blood and to tonify lung qi. It is indicated for use in infertility, impotence, insufficient lactation, emaciation, wheezing and acute respiratory attacks and chronic or debilitating diseases. It is contraindicated if there are heat signs with Yin deficiency due to its yang nature, as well as toothache due to stomach fire. It is also deemed unnecessary unless there is a weakness or a true pathological factor exists. It also comes with a warning and is subject to strict quality control to ensure safety (Brand & Wiseman, 2008). An article for developing skills associated with postnatal depression for midwives explains that due to the prevalence of placenta encapsulation midwives must be aware of the benefits and risks. According to Colls and Fannin (2013) placenta encapsulation may improve lactation, mood and prevent depression, possibly due to its rich sources of iron, B6 and corticotrophin-releasing hormone. A self-reported survey of 189 women who had consumed their placenta showed that majority of these women reported beneficial effects and would do it again (Selander et al, 2013). On the contrary Beacock (2012) argues that placentophagy is unsafe, abhorrent and even a form of cannibalism. With such threats of blood borne disease these arguments are of importance. The only review of placentophagy to date was completed June 2017, and recommends that placentophagy be discouraged (Farr et al, 2017). They note all the current evidence is anecdotal and that there was one case of a newborn developing B Streptococcus sepsis after her mother had ingested contaminated placenta capsules*. It was identified that although this case exists, a google search for 'placenta encapsulation' continues to rise. *B Streptococcus was not found in her breastmilk although it was ‘identical’ to that which was found on baby. What might be the reason is the knowledge that all mammals routinely eat their placenta directly after birth, humans being the only mammal that does not (Kristal, 1980). It is known that the placenta contains high levels of prostaglandins, which may help the involution of the uterus (Duchesne et al, 1978); The small amounts of oxytocin in the placenta cause the smooth muscle around the mammary cells to contract and eject milk (Nakazawa et al, 1984); Animal studies also showed increased levels of serum prolactin, and lower levels of progesterone as well as an increased pain threshold for the mother after ingestion (Blank & Friesen, 1980; Krystal et al, 2012). So there are some positive correlations to its use. Gryder et al, 2017 is the only randomized double blinded placebo-controlled trial to date. In this study the women ingested encapsulated placenta or placebo which was a beef capsule. They aimed to identify whether there were significant changes to maternal postpartum iron status after ingestion. There was no statistically significant difference between the two groups regarding their maternal iron status and noted that only 24% of the recommended daily intake of iron was available, although all the participants did maintain high iron levels across the study. Interestingly though the placenta pill contained 7 times more iron than that of the placebo. Another study aimed to see whether encapsulated placenta actually demonstrated any nutritional benefits (Young, 2016). They found only trace amounts when compared to the RDA recommendations, iron 24%, selenium 7,1%, zinc 1,5% and copper 1,4%. They also found trace elements of potentially harmful substances; arsenic, cadmium, lead, mercury and uranium, all of which were below toxicity thresholds. In the review by Farr et al, (2017) their perspective is very clear, placentophagy should be discouraged. Their main justification for the harmful effects of placentophagy is the one case study of streptococcus mentioned above and possibility of inadequate heating processes that increase undue risks of HIV, hepatitis and Zika virus (Farr et al, 2017). Although, there are certain precautions taken for women in certain states in America; For example if she wants to remove her placenta/‘medical waste` from the hospital she must test negative for infectious diseases and sign a specimen release form, it is also placed in a special biohazard bag, a positive step in terms of infectious disease control. From a TCM perspective after childbirth would more than likely be associated with all the particular indications for its use, but the TCM dosage is much lower (1,5-5gr) then the regular 33gr dosage used via encapsulation (https://www.motherrisingbirth.com/wp-content/uploads/2014/06/Placenta-Encapsulation-Information-Packet.pdf.). Also additional herbs should be used in order not to create a further yin deficiency another huge factor for postpartum. Interestingly in the blog post referenced above they mention that RAW placenta is very cold in nature so more warming and tonfying herbs are added to the mix before encapsulation. This would seem to be counterproductive when from a TCM perspective once dried the herb is a full yang tonic. Awareness should be harboured when non-TCM practitioners are encapsulating the placenta and incorporating other herbal medicines. From what is demonstrated here, caution must be taken with placentophagy. Preparation and consumption must be completed with the utter most care. The current literature does not demonstrate enough benefit to be promoted but the risk to discourage its use is so far quite low if used correctly. Increased knowledge and further evidenced based research is necessary. At this stage, this practitioner says... Eat it if you want to, take the precautions to minimise risk of infection; be mindful if you start to present with heat signs such has flushes, insomnia, etc. (if you don't know, come in for a treatment). Remember we use placenta (Zi he che) as part of a formula, and generally in smaller doses then currently prescribed by your encapsulator. Beacock, M., (2012). Does eating placenta offer postpartum health benefits? British Journal of Midwifery, 20(7), 464-469. Blank, M.S., & Friesen, H.G. (1980). Effects of placentophagy on serum prolactin and progesterone concentrations in rats after parturition or superovulation. Journal of Reproduction and Fertility, 60, 273-8. Brand, E., & Wiseman, N. (2008). Concise Chinese materia medica. Taos, N.M.: Paradigm Publications. Colls, R., & Fannin, M. (2013). Placental surfaces and the geographies of bodily interiors. Environmenta and Planning A. 45(5), 1087-104. Duchesne, M.J., Thaler-Dao, H., & de Paulet, A.C. (1978). Prostaglandin synthesis in human placenta and fetal membranes. Prostaglandins, 15, 19-42. Farr, A., Chervenak, F.A., McCullough, L.B., Baergen, R.N., & Grünebaum, A., (2017). Human placentophagy: A review. American Journal of Obstetrics and Gynecology (accepted manuscript) doi: 10.1016/j.ajog.2017.08.016. Gryder, L.K., Young, S.M., Zava, D., Norris, W., Cross, C.L., & Benyshek, D.C. (2017). Effects of Human Maternal Placentophagy on Maternal Postpartum Iron Status: A Randomized, Double-Blind, Placebo-Controlled Pilot Study. Journal of Midwifery and Women’s Health, 62, 68-79. Kristal, M.B. (1980). Placentophagia: a biobehavioral enigma (or De gustibus non disputandum est). Neuroscience and Biobehavioural Reviews, 4, 141-50. Kristal, M.B., DiPirro, J.M., & Thompson, A.C. (2012). Placentophagia in humans and nonhuman mammals: causes and consequences. Ecology of Food and Nutrition, 51, 177-97. Morrow, L. Placenta encapsulation, Retrieved 02 November 2017 from https://www.motherrisingbirth.com/wp-content/uploads/2014/06/Placenta-Encapsulation-Information-Packet.pdf. Nakazawa, K., Makino, T., Nagai, T., Suzuki, H., & Iizuka, R. (1984). Immunoreactive oxytocin in human placental tissue. Endocrinologia Experamentalis,18, 35-41. Selander, J., Cantor, A., Young, S.M., Benyshek, D.C. (2013). Human maternal placentophagy: A survey of self-reported motivations and experiences associated with placenta consumption. Ecology of food and nutrition, 52(2), 93-115. Young, S.M., Gryder, L.K., Zava, D., Kimball, D.W., & Benyshek, D.C. (2016). Presence and concentration of 17 hormones in human placenta processed for encapsulation and consumption. 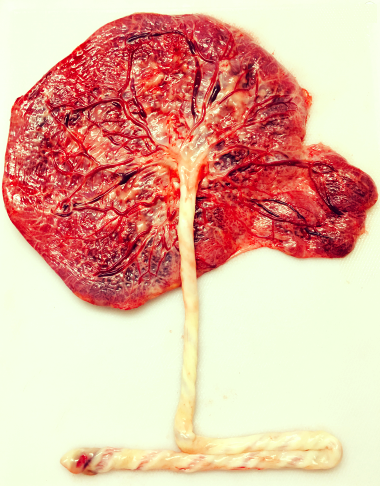 Placenta, 43, 86-9.